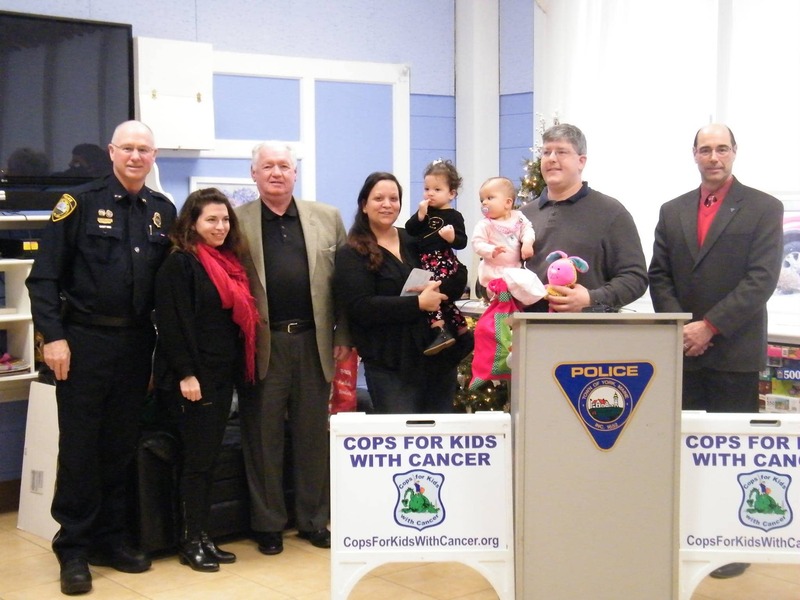 On December 29,2016, CFKWC Board Members Stacey Abato, Captain Eddie McNelley (Boston PD ret.) and Captain Mike Drummy (Mass State Police) – made a donation at the York, ME, Police Department, to the Foster Family, who have two children, ages 8 months and 20 months old, both diagnosed with Retinoblastoma. We want to thank Chief Doug Bracy and all the officers of York, ME, Police Department for hosting CFKWC and the Foster family, they went above and beyond.